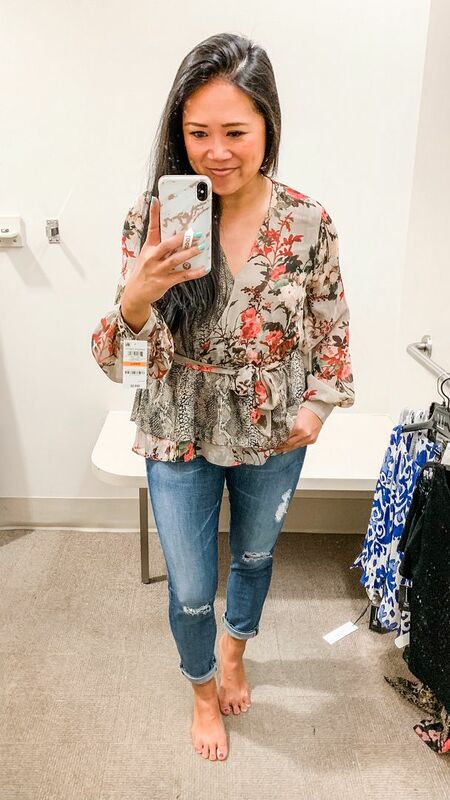 I love a good floral print and this one is mixed with animal print which is an extra bonus for me! I loved the neckline, too, as I feel it is very flattering on someone who is not-so-well-endowed like me. 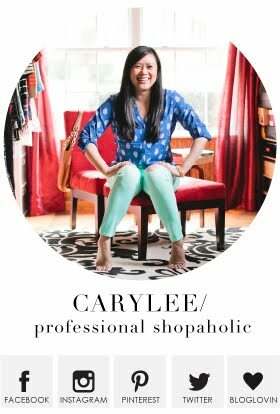 I'm not wearing any shoes, but it's obviously longer on me than it looks on the model in the stock photo. I'm 5'-2" and I'm wearing a size 4. This top reminds me of something I would have picked up at Contempo Casuals back in the day. Ha! Perhaps that's why I was drawn to it. The colors are great and I love the twist front detail at the waist. The shape of the cuff is also darling! There is a concealed zipper at the side to make it easier to pull it over your head, and there's also a button closure behind the neck. I'm wearing this in a small. I'm always down for finding a good slim fit pant, and wanted to give these a try. These have a nice thick waistband, so it really locks you in without feeling too constricted. I am wearing a 4 petite, but I still ended up folding the hem under about an inch because otherwise the legs bunched unflatteringly at my ankles. You will see a trend here as I really loved this mixed print! 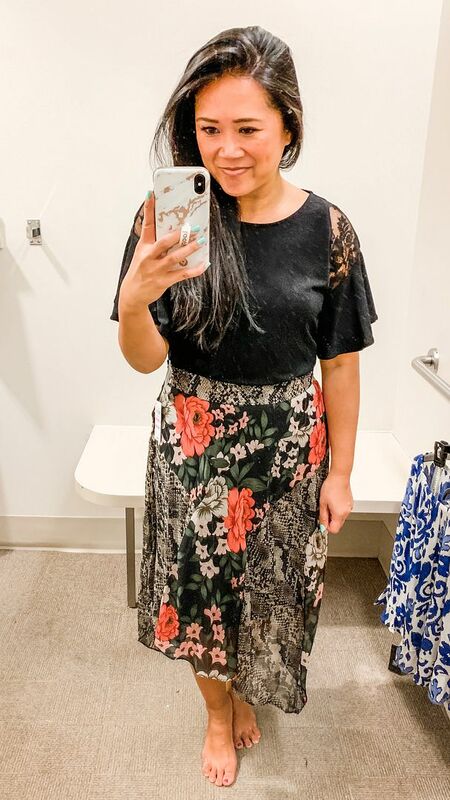 It came in this romantic-looking top and I really loved the layered ruffle hem! They're calling it a wrap top, but it is a faux wrap with a detachable, self-tying belt. I do love that it looks like a wrap top and the shape of the sleeves makes me happy, too! I'm wearing this in a size small. The jeans are my own. You know I love a good moto jacket and this is no exception! I don't have a blush jacket, so this really caught my eye. I loved the details at the shoulders, sleeves, and bodice! And it is super soft! I didn't actually realize it was faux leather. It feels like super soft supple leather. I'm wearing a size small. 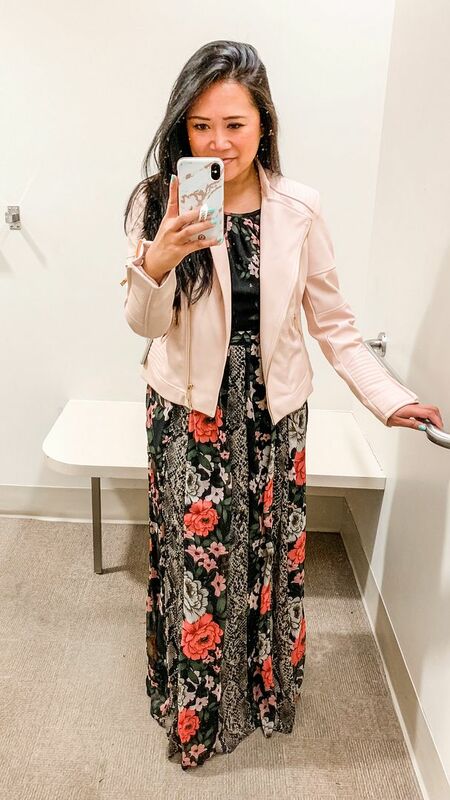 I had to try the moto jacket on over the maxi dress, and the combo did not disappoint! 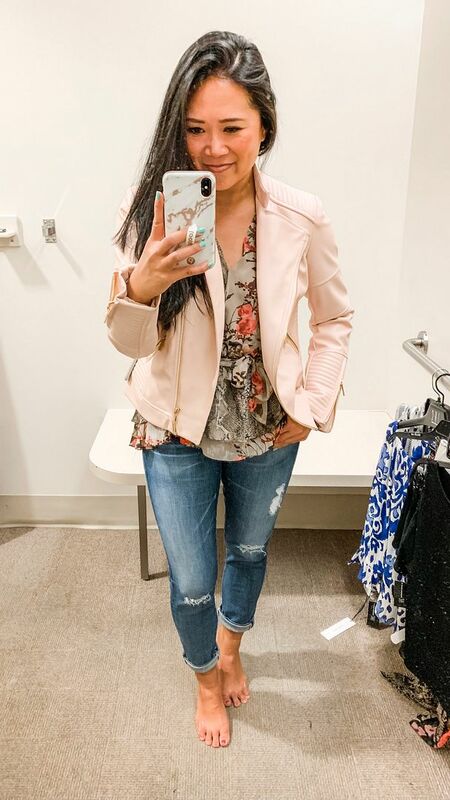 The colors of the dress can feel just a bit fall, so I loved how the blush jacket makes it feel more appropriate and relevant for spring. 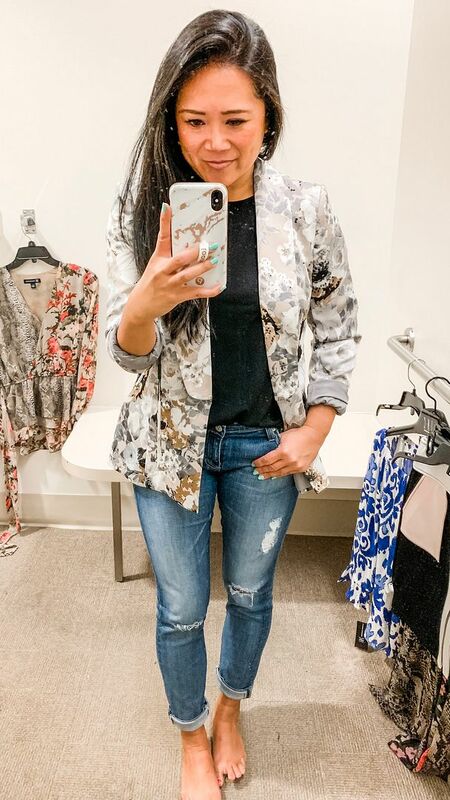 Speaking of jackets, how fun is this floral blazer?! It has a great vintage feel to the print - very "grandma couch" feeling in a good way! I love the idea of pairing this sweet blazer with some edgy shoes and accessories. I'm wearing a size 4. 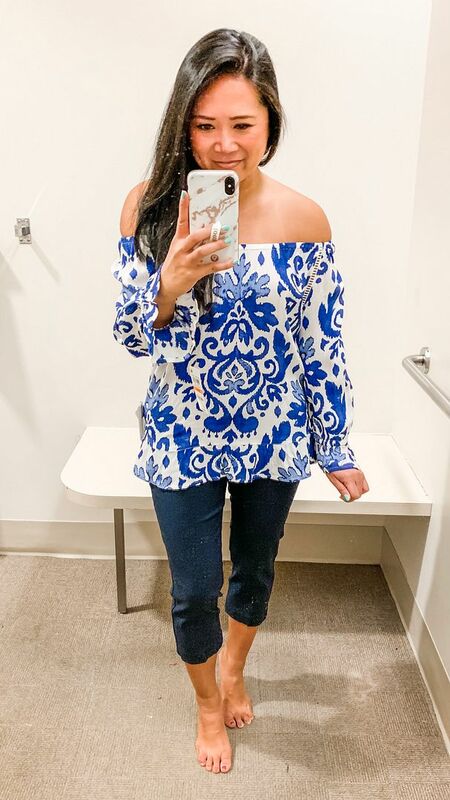 Here is a better look at the ruffle sleeve top from the previous outfit. 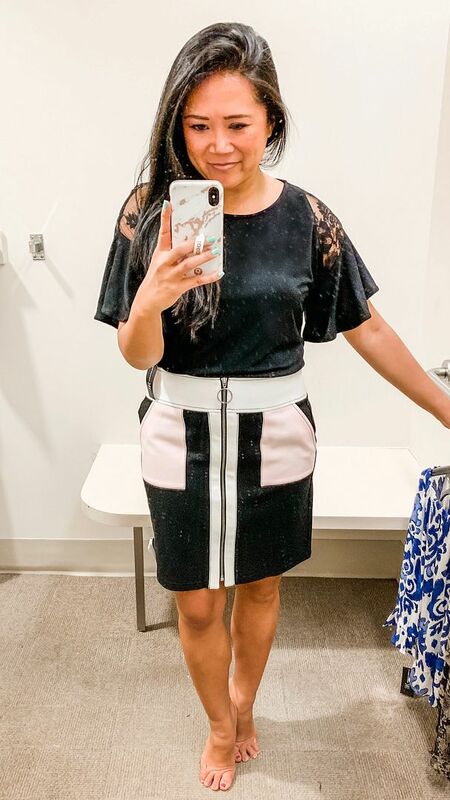 I wouldn't pair the top with this skirt in real life as I feel this skirt is a statement in and of itself, so the top should not compete with it. That said, I do love the sleeves of the top! It's a great twist on a basic black tee. I'm wearing a size small. The skirt is a lot of fun, and like I said, I would pair it with a basic, simple top. It would look so cute with a white ribbed tank and wedge sandals for the summer or with a crisp black button up and pink pumps for the office. I'm wearing a size small. I told you I was in love with this print! I had to try on all the things in this print! I will say that I was confused which way was "front" on this skirt. Looking at the stock photo, I think I should probably turn it a quarter turn. And again, I wouldn't pair this top with the skirt in real life - I would definitely stick with a plain top with a simpler silhouette. I'm wearing a size 4 in the skirt. 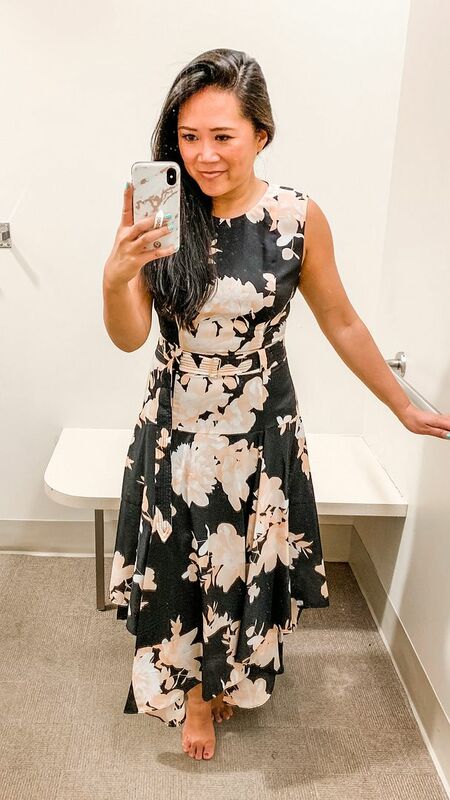 I was on the fence about this dress on the hanger, but ended up liking it a lot better on me. There were so many great blush pieces to choose from and this dress was no exception. The shape of the bodice is really good - it's fitted but not form-fittingly-tight. I love the structure of the top and the fun, flowy shape of the bottom. I feel it does run a little small. I'm wearing a size 6. How fun is this top?! It reminds me of a deco-style porcelain tile. Such a pretty print and vibrant color for spring. I'm laughing at myself though because it has an elastic neckline, so I assumed it was off the shoulder, hence why I'm wearing it that way. But nowhere in the description does it make reference to off the shoulder! I don't know, but I love it off the shoulder! I'm wearing a size small. I was surprised to see the pants were pull-on! Usually pull-on pants are more of a ponte knit material, but these feel like actual dress pant material; very similar to the Editor pant at Express. 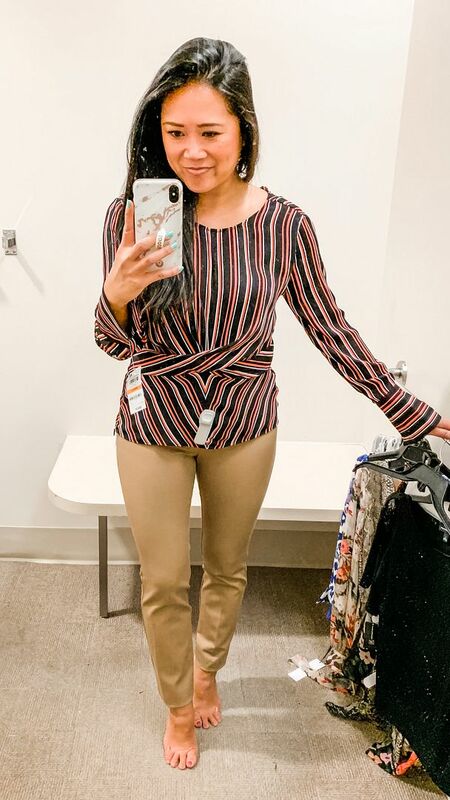 I didn't see the full length version of these pants in store - I wish I had because I would have loved to try them. 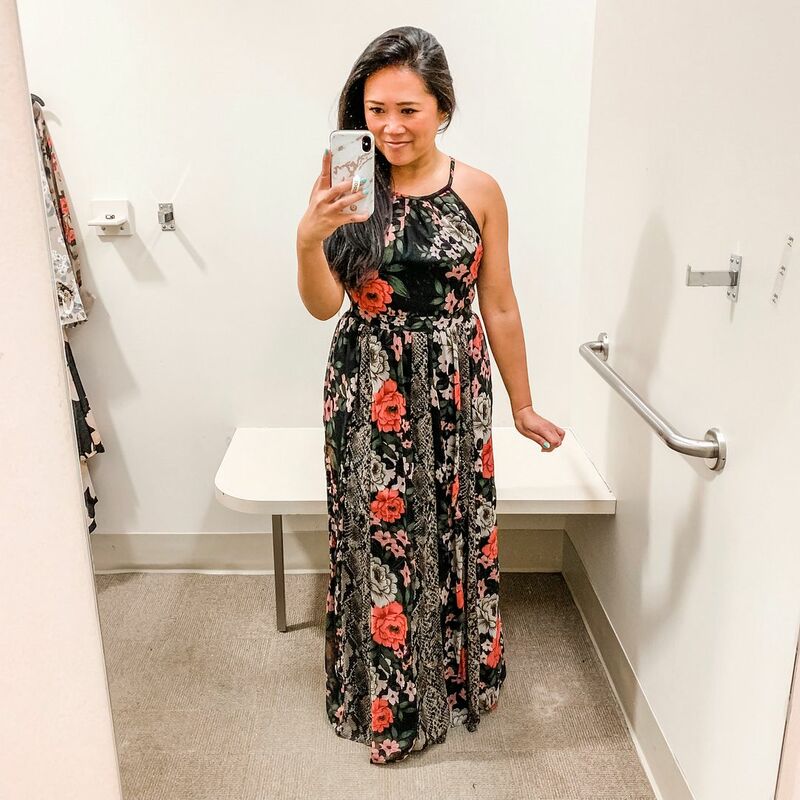 I'm wearing a 6 petite in the pants (I always size up in petites) and the fit is really good! Obviously, I shared this graphic in last week's post so I knew it existed, but it was still pretty awesome to see it live in person at the store! Naturally, I had to take a photo of it. I almost took a selfie with it, too, but figured that might be taking things too far!! 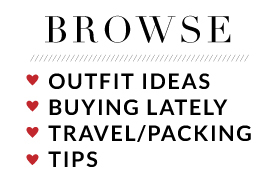 At any rate, hope this post gets you excited to shop in store next weekend! And whether you are local or not, I hope you'll check back in to see what I chose to wear for the event! 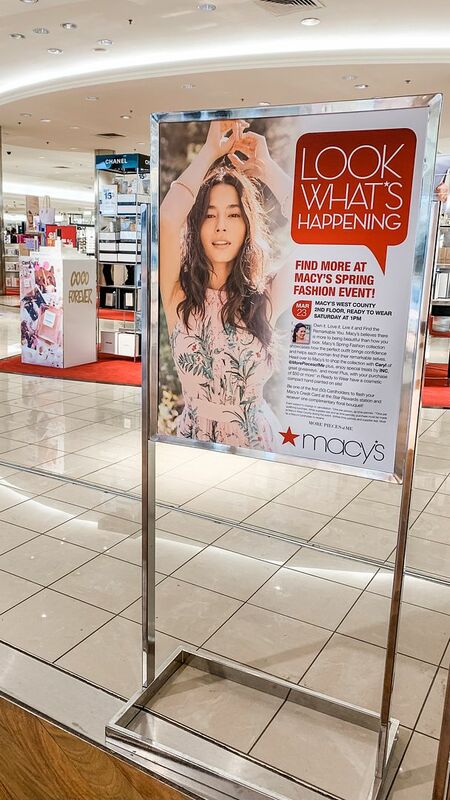 Once again, the event is Saturday, March 23rd from 1pm to 3pm at the Macy's in West County Mall. If you comment on my Instagram post here and let me know you're coming, you have a chance to win an attendance prize and will be automatically entered to win a Macy's gift card! Hope to see you there!! great photos and amazing girl! Oh I've missed posts like this from you! So fun to see what you tried and what you liked or didn't! That pink moto jacket is great and you sold me on "super soft." Hope you have a great time at your event! love alll the things you tried on!